Dogs and cats while shedding can leave a lot of hair scattered in your clothes, furniture and car seat covers. It can cause a lot of inconvenience to people having allergies. At PetsWorld, we offer you top quality Lint Rollers and Hair Removers for completely wiping out the pet hairs which are spread around your house. 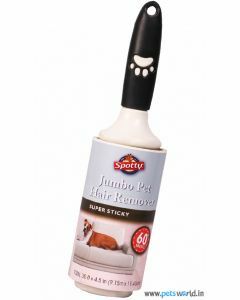 Spotty and PetCare at PetsWorld provide you with the best of hair and lint rollers for effectively catching the loose hair strands of your pet. It has a strong adhesive which attracts the hair extremely quickly from the surface. Petcare has 60 sheets, where a new sheet appears after an old one has been torn off. 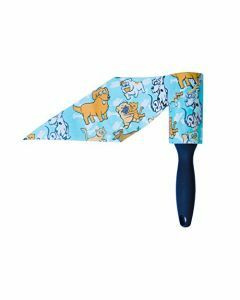 Spotty Jumbo Pet Hair Remover is another excellent lint roller which has got a strong handle for supporting a faster cleaning of dirt and dust. 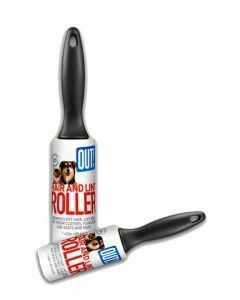 The lint rollers we offer at PetsWorld also help you to clean shattered glass pieces of broken windows.